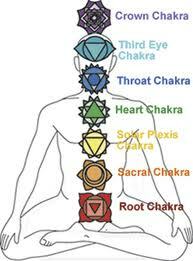 I offer instruction in the modalities listed below. If I don't currently offer what you are looking for, please ask me! I'm a Reiki Master Teacher and a professional educator with over 30 years of service in education. I offer instruction in the following levels of Reiki: Level 1, Level 2 , ART Level 3A and Master Teacher Level 3B. I teach in the Usui method, using the William Rand books. I have also received attunements (instruction and energy entrainment) from several lineages (ancestral passing-on of the energy), and incorporate them all into my instruction. I am members of 2 professional organizations:The International Center of Reiki Training (whose methods and books I use) as well as The International Association of Reiki Professionals. know to help people understand what Reiki is, to spread the word and offer instruction manuals. Jim Pathfinder Ewing (Nvnehi Awatisgi) author of numerous books and a well-known spiritual healer . I teach Reiki 1 and 2 together, usually over a 2 day span. Then after 6 months you may take ART Level 3A, and after one year, Master Teacher Level 3B (although I make exceptions to the Level 3 and can teach both together if the student is ready). Times can be adjusted if necessary. Prices are listed on the Workshop Pages. I can teach individuals as well, if that is more comfortable for you. Contact me to set up instruction times. You will then be able to add your name to the lineage above! And more importantly, you will be able to help yourself and others. I have been a regular meditator since my college years. There are numerous meditation methods and I have practiced many styles, but my specialty is in instruction for beginners and intermediates. Meditation can be learned on your own, but I find it is not nearly as effective as it is with a teacher, at least in the beginning stages. Did you know that you can meditate without sitting in the lotus position (seen left) ? There are so many different ways to meditate, to calm your mind and body...you can even do a walking meditation. There are new methods of bio-feedback that you can use right on your computer. I can show you many different styles, and you can decide what's best for you. Then we'll work on that until you feel confident you are getting the most out of it. Whether you are interested in private study or setting up a class with friends, I would love to share with you a way to de-stress your life, improve your health and learn more about yourself - through meditation. Stress is the great killer of modern humankind. The physical body is just not made to handle the types of stress we live with moment to moment in our current world, and when we cannot release the stress, it collects in our bodies, causing great harm. Stress reduction starts with Self Awareness - learning to recognize and interpret your own behaviors and reactions to stress at the moment they are occurring, and then doing something about it BEFORE it can harm you. You can learn to do this, and together with Meditation, you can greatly reduce the physical effects of stress on your heart and your body, as well as improve many facets of your life, from health to relationships. Working with you will be an ongoing process, week by week until we can get you to a place that you understand how to handle stress on your own. I like to meet in person at first, and then move to Skype sessions or phone sessions. I also highly recommend HeartMath as a training tool for stress reduction, especially if you are into high-tech, scientific stuff. Visit heartmath.com and see what 20 years of research has yielded...it's pretty amazing. Stress is often a result of not taking enough time for yourself, putting everyone else first and not valuing your own needs. Or, worrying about providing for everyone financially and not having time to live your life. And of course, stressors such as shocking news or a traumatic event. If any of this seems familiar, contact me and let's get started on an individualized program that will get your life and your health back on track. Acknowledging is the first step! If you are asking yourself "what are Energy Modalities? "...then this instruction is for you. I will give information about the various types of energy healing modalities available in today's world- what they are, how they work- and include demonstrations when possible. Learn about your chakras, the use of crystals and stones, reflexology, energy entrainment, shamanic methods, yoga....the list goes on! This is really a fun learning experience, and one that can change your view of health and life! This can be given in a class setting or individually. Email me for more information. Native cultures have been healing themselves for thousands of years without pharmaceutical drugs and clinical surgery or psychotherapy. How do they do this, and how can these techniques possibly help you? You may be surprised to find that these indigenous practices are actually based in science, working at the quantum level. We' re talking vibrational science here - including sound, light, colors, thoughts, emotions, speech, movement. Quantum physics is beginning to explain the science behind these ancient healing modalities, and the medical world is even beginning to incorporate the ancient ways into so called "conventional" healing therapies. One of the best healing methods I have ever found, and one of the most interesting, is the study of shamanic healing. Shamanic healing is really about shamanic living, a way of life. It is not a religion, but a set of tools that enables us to have a connected experience with the natural world. We are, after all HUMAN, and we live on the planet EARTH...shouldn't humans and Earth have a working and interactive relationship? Shamanic living includes making use of the shamanic journey, auric clearings, rattling and drumming, power animal retrieval, soul retrieval, dancing, chanting, power songs, divination, gratitude and much more. I'll share with you my training in indigenous healing and ceremony, gathered from years of study and exposure to Native American, Polynesian and Celtic cultures as well as my own personal experiences. Class instruction and individual instruction fees vary-contact me for more information if you are interested in this type of instruction or experience or to learn more about these ancient healing techniques, or if you need an energy clearing of land or home, or another type of ceremony. There is never a charge for ceremonies, but there is a charge for travel, time, materials and instruction. Since time began, indigenous people "traveled" into non-ordinary realities to gain information and answers to questions. Learn how this beautiful ancient practice can be applied to your own life. 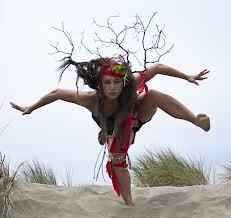 I teach classes in the Core-shamanic method. NOTE: While I understand and honor the sacred traditions of cultures who use plant medicines to aid in their journey work, I do not advocate the use of any substance in the journey work that I teach. Indigenous cultures use plants and medicines under strict protocols and with stringent application to ceremonial rituals, etc. under the watchful guidance of elders trained in what they are doing. I do not pretend to be instructing this sort of ritual, nor do I call myself a "shaman". This is not a religious service, nor am I going to "heal" you in a journey. I don't "heal" anyone. I simply teach and use the shamanic methods that have been passed to me by those who are Native elders or who have spent their lifetime training and working with true "shaman". Each of us holds the power and wisdom of all we need right inside of us. Accessing your own personal information in a natural and safe way is the journey method I use and pass on.